It's not often that I decide to write a post after watching only one episode, but holy cow this is an impressive outing for The Three Musketeers. I'll admit, I went in pretty skeptical, as I'm not a major fan of Jung Yong Hwa nor of the bromancy-sort of sageuks. But this show just does everything right. The tone is absolute perfection, managing to balance out the humor with just the right level of gravitas for me to still take the story seriously. It leaves me wondering, what can't this writer-director dual take on? I had expected Lee Jin Wook to be the center of this story, because let's face it, he's by far the most high-profile and talented of the main quartet of actors. 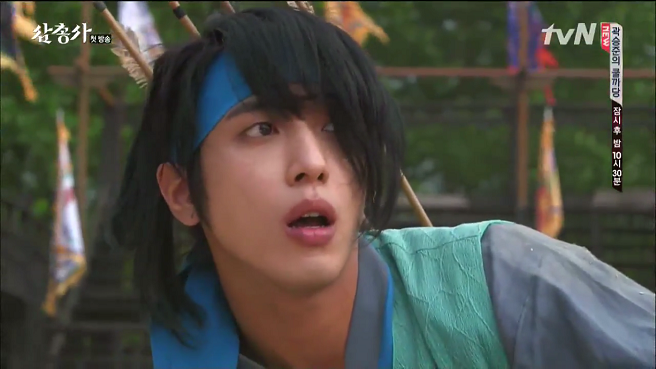 But while his role is not insignificant, turns out Jung Yong Hwa's Park Dal Hyang is the focal point of the story, and the narrative is so far almost entirely from his perspective. 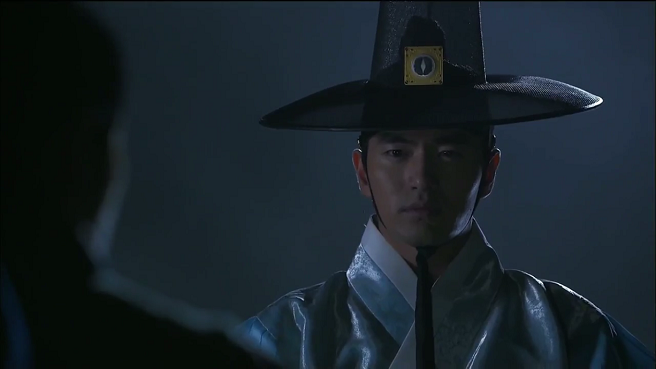 He's a young man who eventually winds up as a general, and this is almost a coming-of-age story revolving around his journey from his homeland to the capital city of Hanyang, where I expect he'll eventually join on as a member of the Crown Prince's (Lee Jin Wook) guard. It's odd, because while on paper the story is anything from impressive, it manages to quickly engage you with its tone and with the small beats of the story and its characters. I found myself surprisingly getting a chuckle out of a number of the scenes, which are played with a lightly humorous hand. The end result is a story that manages to be pleasurable to watch, but which still hints at the high stakes to come. Episode 1 was pretty dense on action scenes, and I expect plenty more to come. While I'm not normally a fan of mindless action, the dynamics of our four leads together somehow create a greater whole, and I find it fascinating to watch as the camera flits from one person to the next. 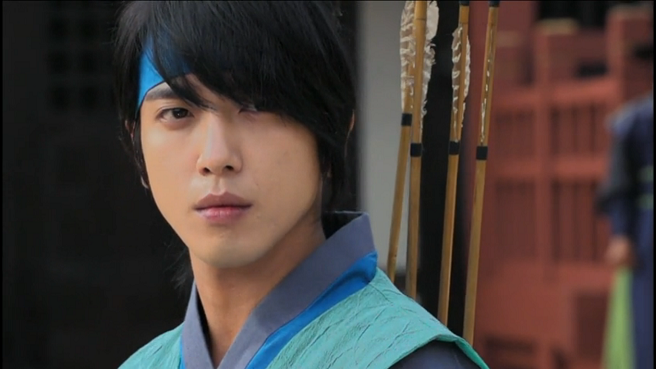 On the acting front, I'm shocked to say Jung Yong Hwa is so far delivering on his leading role. He manages to be more than just a pretty face, and to make Park Dal Hyang feel vulnerable, charismatic, and completely real. There's little over or under-emoting to be seen, which is remarkable, and which I'm at least partly going to have to give credit to this actor-enhancing director. 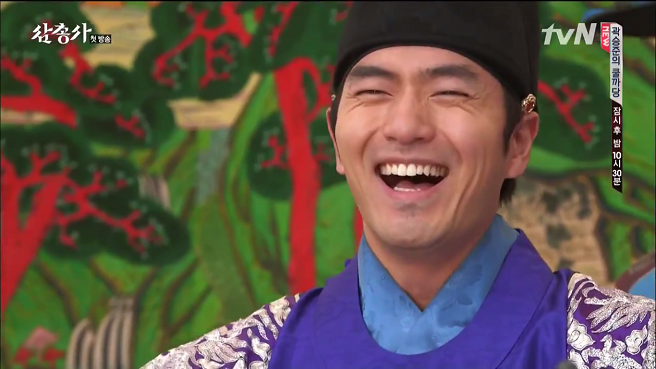 My favorite character though has to be Lee Jin Wook's quirky Crown Prince, who's quite the unconventional sageuk royalty. 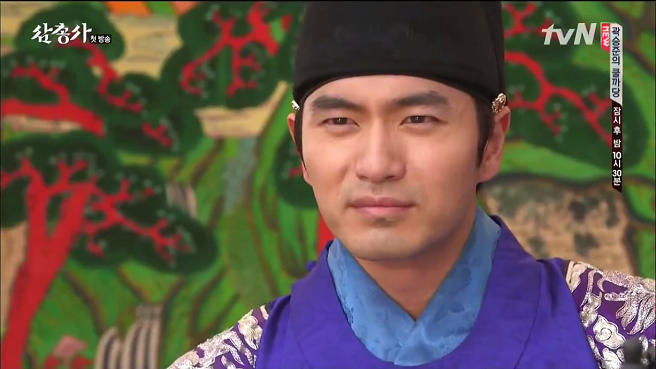 It's a combination of great writing and acting, and I honestly could just sit and stare at Lee Jin Wook sitting there in his princely garbs. The level of presence he exudes in this role is just magical. We haven't seen much of the other two musketeers, but so far they seem likable, and it looks like the four together have solid chemistry. I fear the main weakness is going to be from the women, so far of whom we've only seen one, the Crown Princess played by Seo Hyun Jin. It looks like she'll be the generator of a love triangle between Dal Hyang and the Prince, which is just typical and honestly not something I want to see much of. With such a solid quartet, the last thing we need is a fight over a woman, not to mention her role so far hasn't been all that nuanced or remarkable. 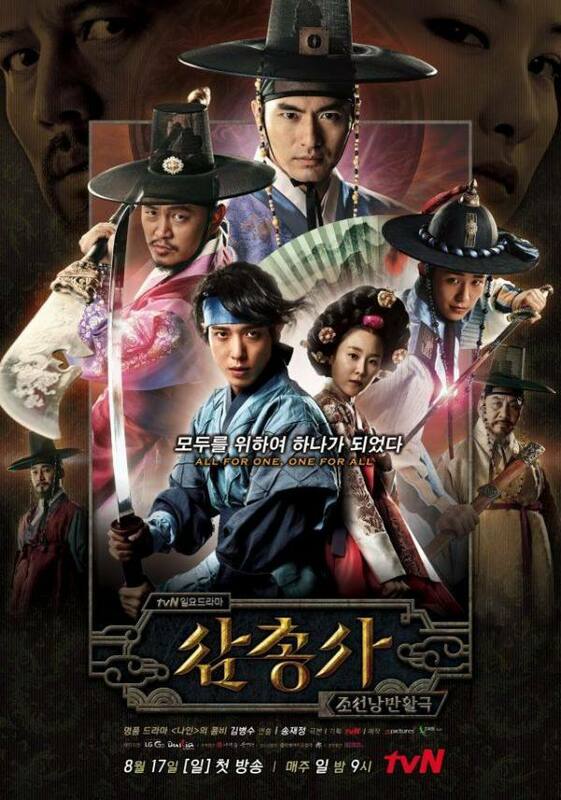 What makes it even better is how great this drama looks and sounds. I see they must be partnering with whoever did the instrumentals in Queen In Hyun's Man again, because the lovely snippets we heard had the same age-appropriate feel and yearning tone. The dynamic camera also makes the story feel alive, and I only wish that other directors were able to master this art. I'm truly excited for this show, and am looking forward to watching the main four's relationship unfold over the coming weeks.